One of the leading pioneers of PrEP — the drug that prevents HIV — who helped trigger the biggest reduction in HIV diagnoses in British history has died from a rare form of cancer. Dr Mags Portman was a prize-winning HIV consultant at London's Mortimer Market Centre, a cutting-edge sexual health clinic, who championed PrEP before the medical establishment galvanised around it. In the last few days, leading figures from across the HIV sector have paid tribute to her "inspirational" work and dedication to patients — as well as her limitless energy and humour. Portman died in the early hours of Wednesday morning at a hospice in her hometown of Leeds. For two years she had been receiving treatment for mesothelioma, a cancer affecting the lining of the lungs, which in most cases is caused by exposure to asbestos. She was 44. Portman was part of the team at the Royal London Hospital who in 2014 delivered the internationally renowned PROUD study, proving beyond doubt PrEP's efficacy. She later enabled fellow doctors to recommend the medication to at-risk patients and ensure they were monitored, long before the NHS had made it available. And in the tradition of patient-first HIV medicine, she brought key PrEP activists into sexual health clinics to train doctors about it, at a time when people were crying out for the medication that had been available in the US for years. Such interventions, in particular from 2015 to 2016, helped prevent thousands from becoming HIV-positive. This was just the beginning of her fight. In 2017, BuzzFeed News reported for the first time the story of Greg Owen, the accidental PrEP activist, who set up IWantPrEPNow, a website that from 2015 provided a gateway for British people to buy cheap, reliable, generic versions of PrEP from abroad — while the NHS stalled. Dr Portman played a critical role in helping Owen, by approaching the General Medical Council (the governing body for doctors) to seek clarification on whether clinicians can recommend treatments to their patients that the NHS doesn't offer. The council's reply — that not only can doctors, but they must — changed everything. Dr Portman was then able to give fellow sexual health specialists the permission they needed to deliver the advice their patients requested: that PrEP is the drug that prevents HIV; that it is almost 100% effective; and that it is safe, trialled and tested. In turn, her fellow doctors were able to direct people to the website from which to buy it. During 2016, as traffic to IWantPrEPNow soared, and sexual health clinics saw spiralling numbers of patients seeking information about PrEP, doctors were able to counsel them, quietly recommending the website, and in so doing, delivering by proxy the medication where it would be most effective in curbing the virus. It proved to be a pivot in public health of historic proportions. At the end of 2016, the number of HIV infections had dropped by around 30%. The evidence was now incontrovertible: PrEP was a vital tool in the fight against HIV. And Dr Portman was widely acknowledged for her part in this groundbreaking development. The British Association for Sexual Health and HIV (BASHH) gave her the Outstanding Contribution award at a ceremony last year. In 2017, she appeared in a major BBC documentary (The People Vs The NHS: Who Gets the Drugs?) based on the story of all those who fought to bring PrEP to patients. "It was very, very difficult and frustrating as a clinician to know that this HIV prevention tool was out there but we couldn't access it, we couldn't prescribe it," said Portman in the film, recounting the early days before PrEP was available. "We were seeing people who we knew were at risk and them coming back with HIV." She also made the economic, as well as the medical, case for PrEP. "Being diagnosed with HIV is costly to the NHS. It costs on average £380,00 to provide a lifetime of care. So by providing effective HIV prevention you're helping the individual but you're also helping prevent that cost to the NHS." Last year, the Terrence Higgins Trust, Britain's largest HIV charity, established the Mags Portman PrEP Access Fund, to enable people living in poverty to acquire PrEP. Although NHS England eventually approved the drug in 2017, after a fierce legal battle brought by the National Aids Trust, it limited the numbers of patients allowed access to it to a trial of 13,000 – a fraction of the demand. Those unable to enroll on the trial but at high risk of contracting HIV can buy PrEP but only if they can afford it. The Portman fund, therefore, helps those who cannot. 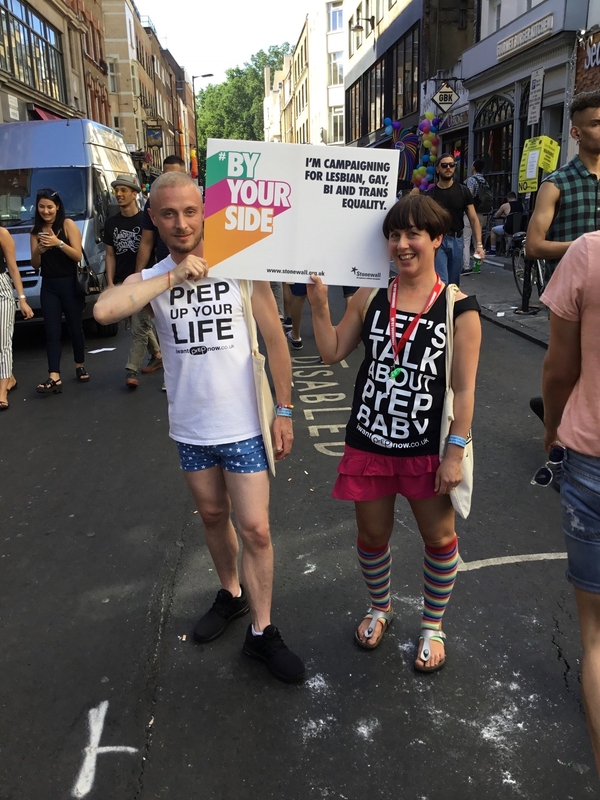 "When we introduced our PrEP Access Fund last year we were delighted to name the fund in her honour," Ian Green, CEO of Terrence Higgins Trust, told BuzzFeed News. "The fund will provide up to 1,000 people the ability to buy their own PrEP but who don’t have the financial resource to do so. She was an inspiration to me and to so many — I will miss her care, her enthusiasm, her energy but above all I will miss her smile. My colleagues and I pledge to continue the fight for PrEP in her memory." But while continuing to fight for PrEP, Portman faced her own, personal obstacle: mesothelioma. After 20 years as a doctor, having been both a GP and an HIV and sexual health consultant, she brought her passion for public health to the field of cancer, writing a blog where she charted the few highs and many lows of a little-known form of the disease. As well as keeping loved ones abreast of what was happening in her treatment, Portman hoped to educate and demystify the condition. She wrote of the horrors — the chemo, exhaustion, weight loss, anxiety, and depression — as well as the greatness of human compassion, embodied in those around her, and delivered by the institution for which she devoted her career that now fought to preserve her life: the NHS. "She was not how you'd expect," Greg Owen told BuzzFeed News. "She was like a teenager — a ridiculous sense of humour. For a really well-respected consultant working very visibly in her field she was like a kid; her humour and energy. But the ripples of what she did are far-reaching. She's known around the globe. I don't think anyone will ever be able to measure what her intervention in the early days of PrEP did. It had such a massive impact. She was one of the key players, responsible for putting PrEP on the map in the UK and Europe." From left: Greg Owen, Gus Cairns, Dr Will Nutland, and Dr Mags Portman. Dr Will Nutland, the cofounder of a leading PrEP information site Prepster.info, said: "At the end of The People Vs The NHS, Mags said, 'I just wanted to make a difference in my life.' Few people watching that programme will have understood the poignancy of those words. Few people will have understood that Mags was dealing with a serious health issue herself and that her desire to make a difference was driven by the diminishing medical options open to her. And make a difference she did." For Deborah Gold, CEO of the National Aids Trust, it was the behind-the-scenes work that Portman did that, in particular, proved revolutionary. 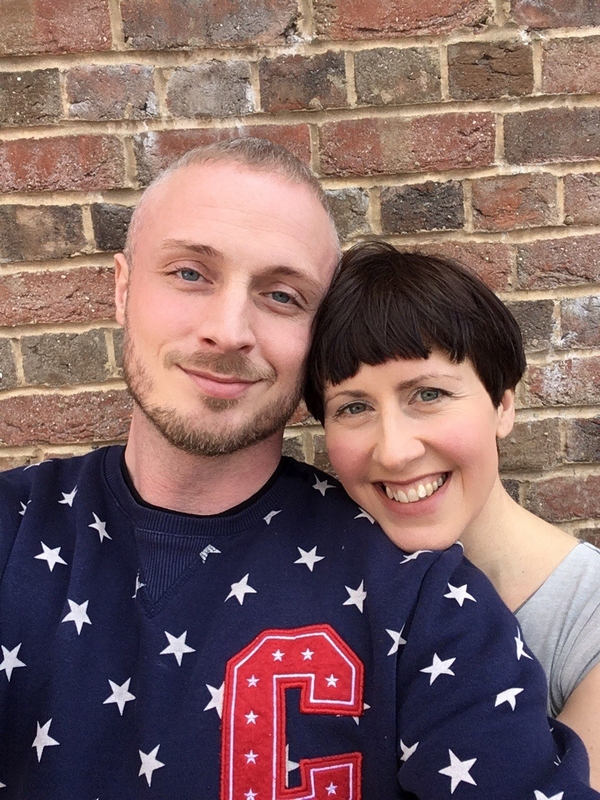 "During a time when PrEP was unavailable via the NHS, Mags stepped forward and took a lead in ensuring that those buying PrEP online had access to the advice, medical testing and support they needed from their clinicians," she said. "She worked to ensure that those at risk could be confident in the safety of their supply of PrEP. Through her actions, countless people who otherwise would have, do not have HIV." "The HIV community is heartbroken by our shared loss of Mags," Gold added. "Mags was a clever, kind, funny, honest, and luminous presence." Portman's former colleague at the Royal London Hospital, professor Chloe Orkin, chair of the British HIV Association, told BuzzFeed News: "Mags Portman will always be an unforgettable human being. Her deeply felt convictions translated into true activism — an activism which helped to unite health professionals and the community to achieve PrEP for all. She has been widely recognised within her lifetime as being a prime mover, someone who has shaped the history of PrEP in the UK. It was a true privilege to work with her at the Royal London and to know her as a friend. She is loved by so many and will be so deeply missed." Dr Mags Portman is survived by her husband Martin and their children, Edward, and Freddie. The name of her blog was Not Doing Things By Half — a name befitting her life.